As USA Rugby strives to become a powerhouse on the international Rugby pitch, there are a lot of changes that are happening. While this can seem overwhelming to coaches, players and conferences, there is a reason for this–USA Rugby must fill the pipeline. You are the pipeline. It is Collegiate Ruggers like you, your teammates, and that girl you see pumping iron at the gym that USA Rugby realizes will be the next champions. This is why every collegiate player is the luckiest girl in the world. She has potential and very little red tape to stop her. As you look at the USA Rugby Eagles the reality is that most of those players started playing in the same way you did. In college, with little to no idea what the hell rugby was. They most likely came for the free pizza and stayed for the friendships and then stayed for the game. 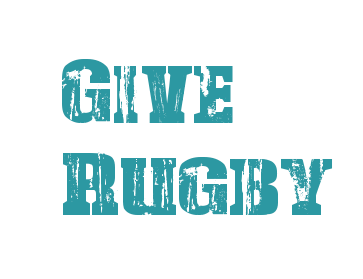 Recruitment is the most important part of rugby and honestly the magic of it. Any experience, any size, any walk of life rugby will welcome you with open arms. There is no other sport quite like that. So get out there and recruit. Wear your jersey. Carry a rugby ball. Talk loudly to your friends about rugby in class. Ask your professor if you can have 30 seconds at the end of class to talk about rugby. Have recruitment tables/meetings with free pizza. Most importantly go up to that girl pumping iron in the gym and talk to her about rugby. Give rugby to another woman. Give her an intense and special family. Give her a unique and special game to learn. Give her a special way of life. Give her the chance to live out every athlete’s fantasy-playing for their country. That girl at the gym could be the next Eagle. You could be the next Eagle.